Children who present lower than average reading and comprehension abilities as young as kindergarten and first grade are at risk for reading difficulties later in life. Without identification and the application of appropriate interventions, research tells us that these children may suffer from additional consequences such as negative attitudes towards reading, reduced growth in new vocabulary, decreased development of reading comprehension strategies and less overall practice and active reading as their peers. Moving from a remedial model to a preventative model, intervention aids in helping at-risk children become more prepared and on the front end rather than playing “catch up” with their peers years later. The ultimate purpose for reading is to help children acquire skills that allow them to understand, enjoy and learn from the written language. Two general types of skill and knowledge required for good reading comprehension are general language comprehension ability and the ability to accurately and identify words in print fluently. Very few studies have focused on the area of early identification and prevention. Consistently, those studies that have been done have observed a number of predictive indices. These indices can be categorized into two major skill areas: difficulty in understanding and applying the alphabetic principle (the idea that letters in print represent spoken words) to identify unknown words and difficulty in development of “sight word” recognition. The latter leads to lack of comprehension due to the amount of effort going into decoding and may prevent children from constructing meaning from the text. This in turn decreases enjoyment and motivation for reading. Weakness in phonemic awareness can be found in children covering a wide range of general verbal and intelligence abilities. Recognizing that a train sound is different from a dog barking. Children must be able to hear and understand these differences before moving onto more specific letter/word sound differences. Identifying rhyming words in chants and storybooks, which is a building block to individual letter-sound associations. Quality of children’s verbal language and vocabulary. Letter sounds and naming are the biggest predictors of later reading difficulties. Preschool and kindergarten teachers have opportunities to incorporate meaningful emergent literacy opportunities throughout the classroom, focusing with intention on those areas that are predictive to reading success. Talking about books, repeated readings of familiar stories, singing rhyming songs, chants, social and verbal interactions, print awareness activities and playing with letters all encourage vocabulary skills, pre-literacy concepts and sound discrimination. Research states that the type of interventions to prevent reading difficulties do not change in content or strategy, but in intensity and frequency. Quality instruction should be given to all. For children at risk for or presenting early reading difficulties, this instruction should be delivered in a more direct approach on a more consistent basis. For example, a lesson on rhyming words might include a rhyming story, with a rhyming game and a song with fill-in-the-blank rhyming opportunities. Discussion before and after reading is encouraged and has been shown to increase interest and motivation. Using big books, predictable books and rebus books across a variety of genres aids in vocabulary development and print concept knowledge. For children identified as at-risk, this concept might be done in a smaller group with a more direct approach, while still being playful and meaningful for the child (increased intensity). In addition, it should be repeated more often, maybe two times per class day rather than one time (frequency). This increase in intensity and frequency will allow the child multiple opportunities to be introduced to and experience the new skills. The identification of early reading problems can lead to an improved outcome for young children at risk. Planning and implementing prevention strategies, rather than remedial strategies in the later years, has been shown to have better results in the later primary grades. Using appropriate observations and assessments, teachers can find children for which intensive reading strategies will be needed to prevent later reading difficulties. Snow, C. Burns, S. & Griffin, P. (1998). Preventing Reading Difficulties in Young Children. National Research Council. National Academy Press. Washington, DC. Torgesen, J. K. (1998). 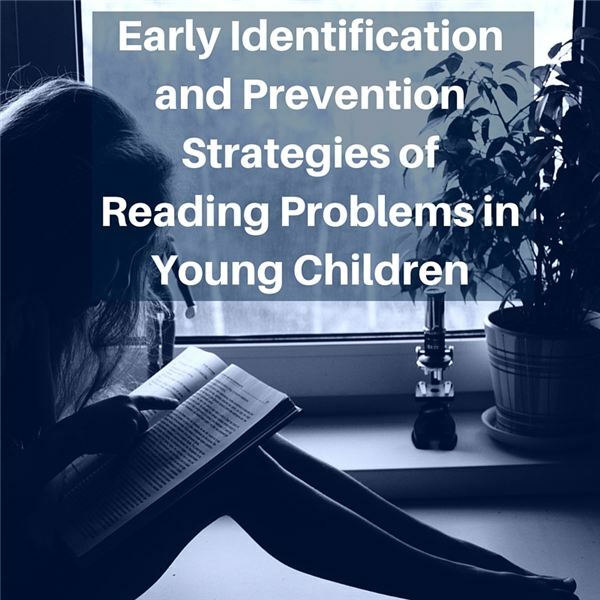 Catch Them Before They Fall: Identification and Assessment to Prevent Reading Failure in Young Children. American Educator/American Federation of Teachers. Gough, P.B. (1996). How Children Learn to Read and Why They Fail. Annals of Dyslexia, V 46, pp. 1-20.